Adding shed windows to your shed is not that hard. 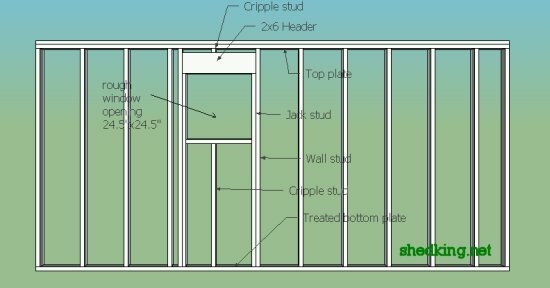 Here's how to do the framing for your shed windows and also where you can get them. Before I build my shed walls that are going to include having window framing in them, I will go to my favorite hardware store like Lowes or Home Depot and pick out the type of window(s) I want to use. 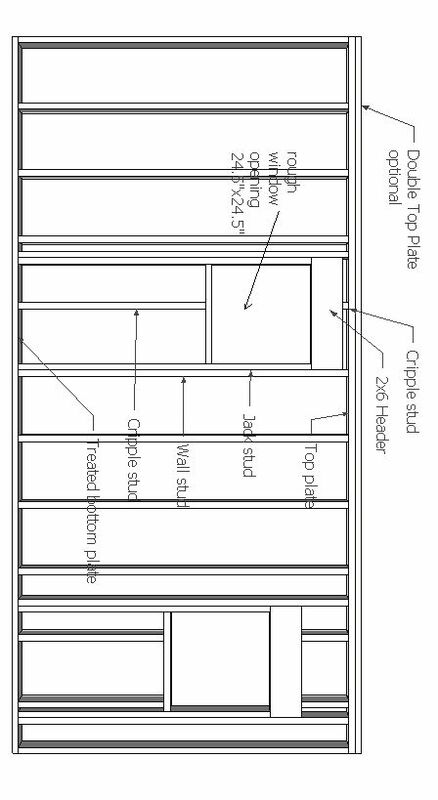 I'll get the rough opening dimensions so that way I can easily make sure my wall framing is correct. Let's say you've found a storage shed window that is 24" wide by 24" tall. Also, this window is a remodeling window, not a new construction window. New construction windows have a nailing flange on the outside of them, and if you prefer you use one of these for your shed, that is perfectly acceptable. A remodeling window does not have the nailing flange, and can be used if you want to add a window after your shed is already built, or if the type of siding you are using, say lap siding, would not accomodate a nailing flange. Ok, you've written down the rough frame in dimensions. Which for this window are 24.5" x 24.5" This means that the opening you will frame in for your window will be 24.5" x 24.5". Now, lets say for planning purposes, you want the top of your window (s) to be even with the top of your shed door. Your shed door top is 72" lets say. Take 72" (or 6') and subtract 24". This gives you 46" off the floor for the bottom of your window. Take away 1/2" from this for your rough opening. Now we know that the top of the framing member at the bottom of your window, or the sill, will be 45.5" up from the floor. Add 24.5" to this, and this is the measurement for the bottom of your header piece. Your wall framing will look something like this. Return from shed windows to Shedkings home page.